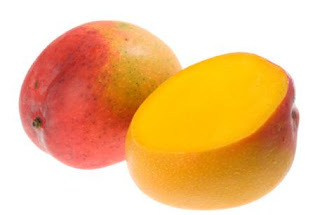 It was important that when you looked at my eyed that you thought MANGOES!!! And I think I achieved it. =) Take a look for yourself. *I loved the eyes so much I decided not to add anything to my face and keep the attention solely on the eyes. That just leaves me with three more looks to present for this series. Doing all these looks have really triggered my imagination. It has me falling more back in love with makeup each time. I'm looking forward to doing more series like this in the future. Catch you in the next post! I loved wearing this look.